Transport of chemicals and liquid raw materials for the food and animal feed industries pose a major threat to the marine environment. To minimise these risks MARPOL annex II entered into force on 6 April 1987 with provisions for the design and construction, the equipment and the operation of chemical tankers. This contributes towards the environmentally sound transportation of noxious liquid substances in bulk. limitation of discharges into the sea. 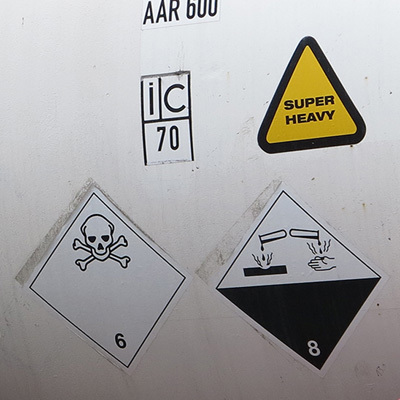 All important operations in connection with noxious liquid substances must be recorded in a cargo record book. Annex II of the MARPOL convention is supplemented by the "International Code for the Construction and Equipment of Ships carrying Dangerous Chemicals in Bulk" (IBC code). The IBC code contains detailed provisions for the design and construction, as well as the equipment of chemical tankers. You can find further information on the IBC Code under the heading "Safety and Security".